Inomjon Majidov, the Minister of Higher and Secondary Special Education of the Republic of Uzbekistan and Zoya Zaitseva, QS Regional Director (Quacquarelli Symonds), signed a strategic agreement to support universities of Uzbekistan in joining WUR within the framework of Science 2020 program, the information service of the Ministry reports. In compliance with the agreement, the QS Intelligence Unit will assist in clarifying the methodology and using open as well as internal QS data. The team will review the performance of universities at the global, regional and subject levels. 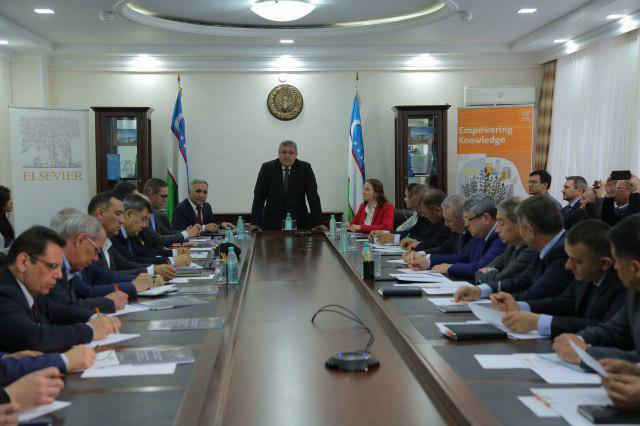 According to experts, this analysis will help highlight areas of strategic achievement and potential success, as well as justify the strengths and weaknesses of Uzbek universities on key indicators. It is noted that the results of analysis will be presented in accordance with the strategic focus of the Ministry.